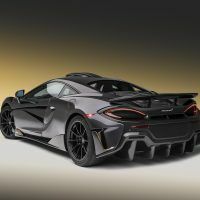 McLaren 600LT Gets Stealth Grey Paint & Tons of "Visual Carbon" McLaren 600LT Gets Stealth Grey Paint & Tons of "Visual Carbon"
McLaren 600LT receives bespoke treatments by McLaren Special Operations (MSO). Debut set for the Pebble Beach Concept Lawn this Sunday, August 26th. 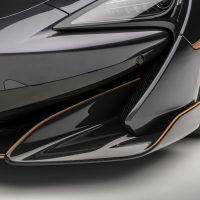 The McLaren 600LT is already a stunning car – does the new paint really add anything? 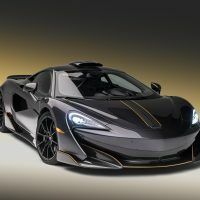 McLaren Special Operations, the McLaren in-house custom shop that goes by the initials MSO is rolling out its latest bit of special confectionery. The McLaren 600LT in Stealth Grey debuts on the Concept Lawn at the Pebble Beach Concours d’Elegance this Sunday, August 26th. Fine, okay. But what makes this one so special? Say what you want about McLaren’s F1 team these days (they’re abysmally terrible) but their road car division sure is cranking out the good stuff. 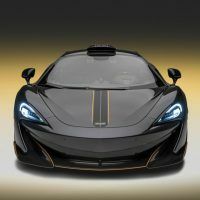 And, like all high end supercar makers, McLaren has their own internal customizing division. You know, for those of you that can’t buy anything off the rack, even if what’s off the rack are some of the best sports cars money can buy. 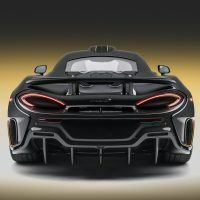 What we’re dealing with here is a ramped up version of the Woking company’s already potent 600LT. Which is already kind of a hopped-up version of the 570S; meaning less weight, more power, and that longer tail (that’s what the LT stands for). The main distinguishing feature is the Stealth Grey Bespoke paint finish with a Mattee Black and McLaren (i.e. papaya) Orange Exterior Pack to show off the car’s aerodynamic features. 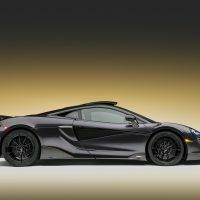 McLaren makes a big deal out of this shade and that it’s “bespoke,” but I’m not all that ruffled by it. So what, you did a paint to sample and it’s a dark grey/flat-ish black color. McLaren 600LT in Stealth Grey by MSO. Photo: McLaren Automotive. 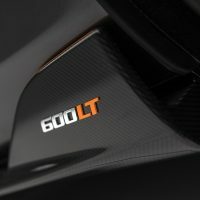 Besides the paint and that scoop, you’ll also find all three of the optional Carbon Fiber Upgrade Packs on this 600LT. 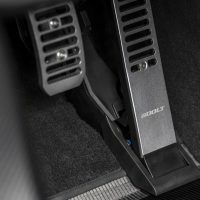 That means the door mirrors, exterior door inserts, front splitter, rear bumper, diffuser, and rear deck and service cover are all made out of the cool, space-age stuff. 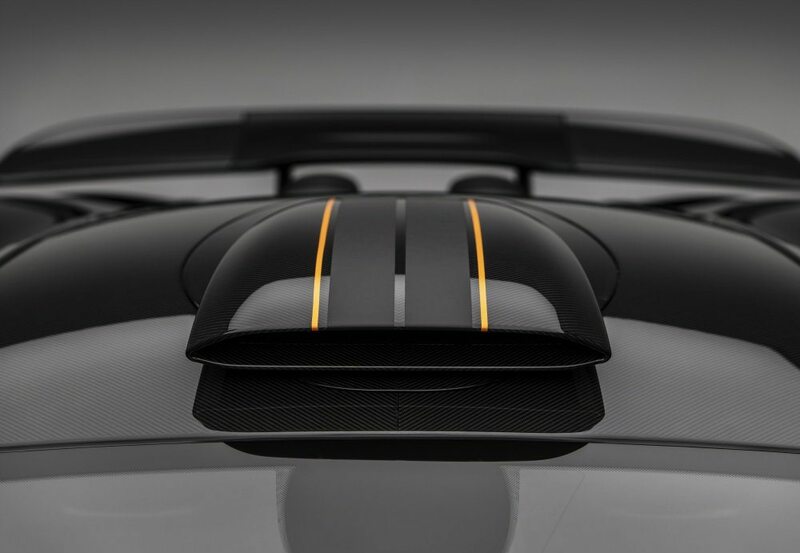 There is also an MSO Defined Carbon Fiber Roof and Cantrails, along with Carbon Fiber Front Fender Louvers. No, I have no idea what “Defined” refers to in this case. Yes, all of this liberal use of carbon fiber reduces weight, so huzzah! The last of the lightweight goodies are the 10-spoke forged alloy wheels with a gloss black finish. Of course they’ve diddled with the insides, constantly reminding you how track-focused things are with a slew of MSO knick-knacks. 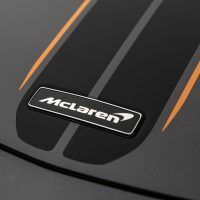 Super-Lightweight Carbon Fiber Racing Seats, sourced from the McLaren Senna, with McLaren (i.e. papaya) Orange contrast stitching. 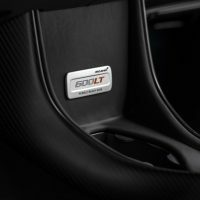 A Carbon Fiber Interior Upgrade Pack with central tunnel and door insert panels, and a harness bar and six-point harnesses from the MSO Clubsport Pro Pack. 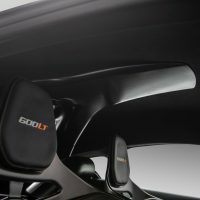 The visual carbon fiber roof scoop cover is incorporated into the headliner, and the twin visual carbon fiber intake hoses for the scoop are integrated into the 600LT’s cabin design. Again with the “visual” carbon. Is there an “invisible” option? Cause that’d be cool. 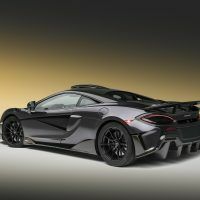 For those that insist on overdone car stereos, the McLaren 600LT in Stealth Grey comes with a 12-speaker Bowers & Wilkins system. How much? 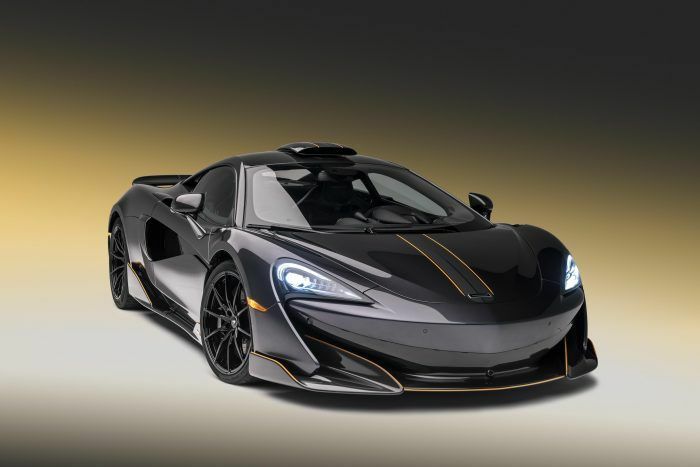 Well, with the McLaren 600LT starting at $240,000, you’ve got to figure this one is going to be expensive. And it is: $363,500. Although Woking mysteriously says to re-create the car, it would cost approximately $363,500, but never say, exactly, that 363 large is the asking price. 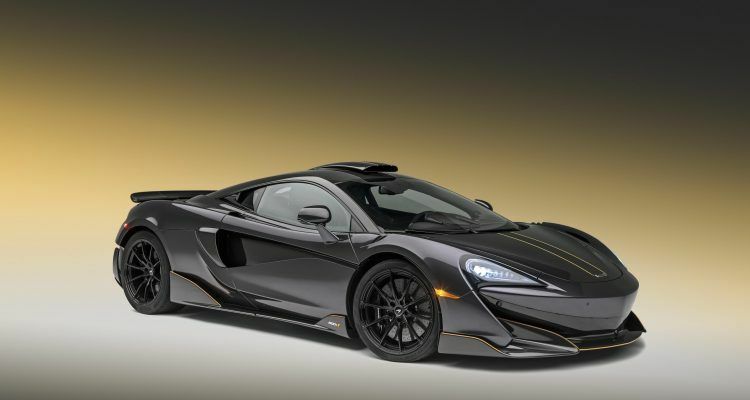 No Comments on "McLaren 600LT Gets Stealth Grey Paint & Tons of “Visual Carbon”"